Plan N seems tempting to a lot of people because too many, it looks like a PPO. However, as we’ve discussed in earlier sections, Medicare Supplement Plans are not PPOs because they do not have a network, so you never have to worry about higher charges when going out of network. Plan N has a co-pay of $20 to see the doctor, and a $50 copay when you need emergency care. The emergency room copay is waived if the visit results in an inpatient admission. Other than those two co-pays, Plan N will cover 100% of Medicare part A and B deductibles, co-pays, and coinsurance amounts, except for two items: the Part B deductible and the Part B excess charges. Because the Part B excess charges can amount to thousands of dollars in the event of having surgery with doctors who accept Medicare, but who don’t accept assignment, I don’t recommend Plan N unless a client is of a health status where that person would never have surgery. Generally, people who are eighty-five years old or older often decline surgery because of the risks involved at that age. That is not to say that no eighty five year old will have surgery. All people are individuals and you need to look at your own individual situation. As of this writing, switching from a Plan F to a Plan A may save you substantial plan premium per year. I caution you not to take the decision lightly though because of the potential excess doctor charges. Take a look at your own personal situation and determine if you’d ever have surgery. If the answer is YES, then either take a look at Plans F, (if you have or will turn 65 before the year 2020), G, or high deductible Plan F. All of these Medicare Supplement plans cover excess doctor charges. 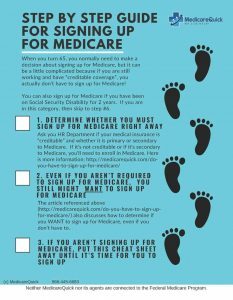 Additionally, you could always be sure that any doctors that you utilize accept Medicare Assignment. If they do, then you will not be responsible for Part B excess charges. Plan N is not for everyone, but it can offer substantial Plan premium savings over a Plan F, which is the most comprehensive of the Medicare Supplement Plan that is available.